The Discovery Shop is doing some spring cleaning and is going to be closed for a few days to update fixtures, repaint, and move racks and merchandise around in the store. They will be closed on Sunday, May 31 through Tuesday, June 2. They will reopen on Wednesday, June 3 with their new look, but the mission remains the same: to generate funds for the American Cancer Society. 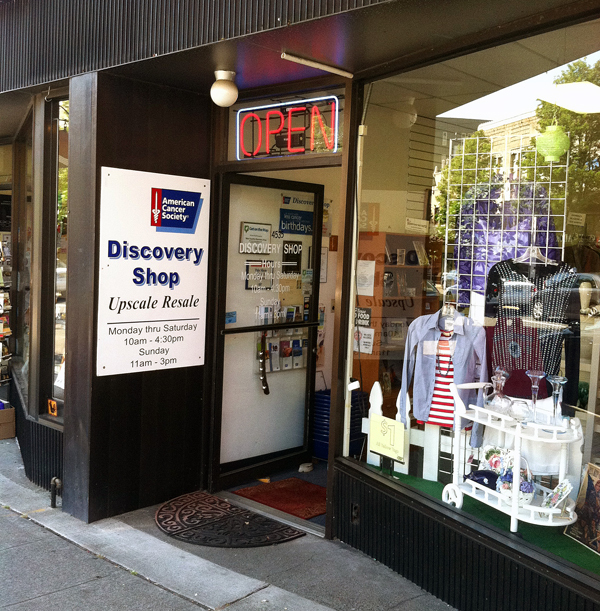 Discovery Shop will still offer quality resale items, friendly customer service and a shared, caring community of hope. Monday – Active Military and Veterans receive 20% off their purchase. ID required. Tuesday – Seniors age 55+ receive 20% off. Saturday – 20% off for HS students with school ID. Sunday – 40% off all men’s wear. On your actual birthday receive 20% off your purchase of regular priced items.